The Black Bear Pass turn off. The hill at the start of the Black Bear Pass Fork on the Left! While heading down hill, the Black Bear Pass will fork to the left, two switch-backs down from the Extremely Dangerous Narrow Road sign. The Parkway (as I like to call it) quickly becomes pretty steep with a bit of a rut to maneuver, so gear down and take it easy and wonder if you think your rig would climb this hill, as I have often wondered as I have never tried. Let me know if you have and how hard it is as a comment, THANKS! Nice Camp-spots along the Black Bear Pass Parkway. There are several real nice Camp Spots along the Black Bear Pass Parkway, grassy, level and treed yet tucked away. I rarely see anyone there, so keep them in mind if you are a Truck Camper/Over-lander type. A Camp Spot along the Black Bear Pass Parkway! The Black Bear Pass intersection. A nice Camp Spot along this 4×4 offroad trail! Just follow the road and admire the Herd of Pink Elephants on your left as you drop down, then up a sharp little gully. They will be growing in the marshy area on the left during the time of peak wild flowers, mid-July to mid-August. 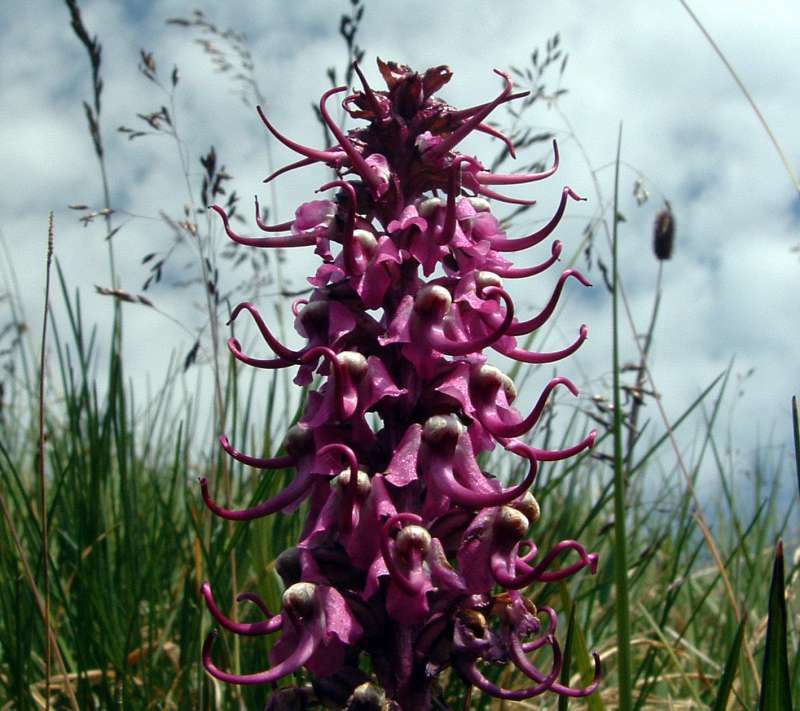 A Pink Wildflower along the 4×4 trail! So then you go over a little ridge and you will see the intersection with the Black Bear Pass road. Back when life was simpler it was fun to climb up the short cut on the left, that is now in rehab thanks to the Creeper Jeepers Jeep Club out of Durango, Colorado, who have adored this side of Black Bear Pass, and we thank them for that! 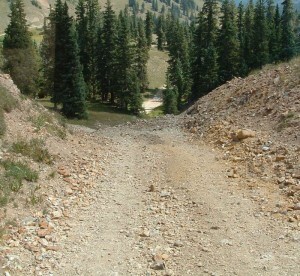 Hope you had Fun on this 4×4 offroad trail in the San Juan Mountains. If you enjoyed this adventure be sure to purchase the Tour Guide’s Guide to Black Bear Pass! Come say High to use on Facebook!